Here’s my third and final Gift Guide for 2018! I can’t believe Christmas is a week from tomorrow! My interest in cleaner beauty products started in 2015 when I learned about EVER Skincare (a sister brand of Stella & Dot). Around the same time, I also started using Beautycounter’s products. I loved both, but I saw RESULTS with EVER’s 4-step skincare regimen. My acne cleared up and my face looked smoother and had fewer blemishes. At that time, I became an EVER Skincare Specialist. It was easy to jump on board because I knew and trusted EVER’s founder and CEO since she also started Stella & Dot. Since then EVER has launched a makeup line too, and more wellness products are on the horizon in 2019. While this gift guide contains some EVER products, I’ve also included my favorite Beautycounter products with a referral link to a friend who reps the brand. I’ve included hair products, books, and more. Check it out, and let me know what you think in the comments below! 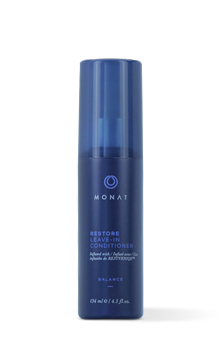 MONAT hair products contain no parabens, no phthalates, no gluten, no BHT, and no polyethylene glycolI. I use this leave-in conditioner 2-3 times per week, and it leaves my hair feeling sooo soft and silky. It also tames the frizz. Yes, please. Much needed in the winter! This product is on my list to try! Not only is it food-based, but YLLO Beauty donates 10% of its sales to help end child marriage. Read more here. 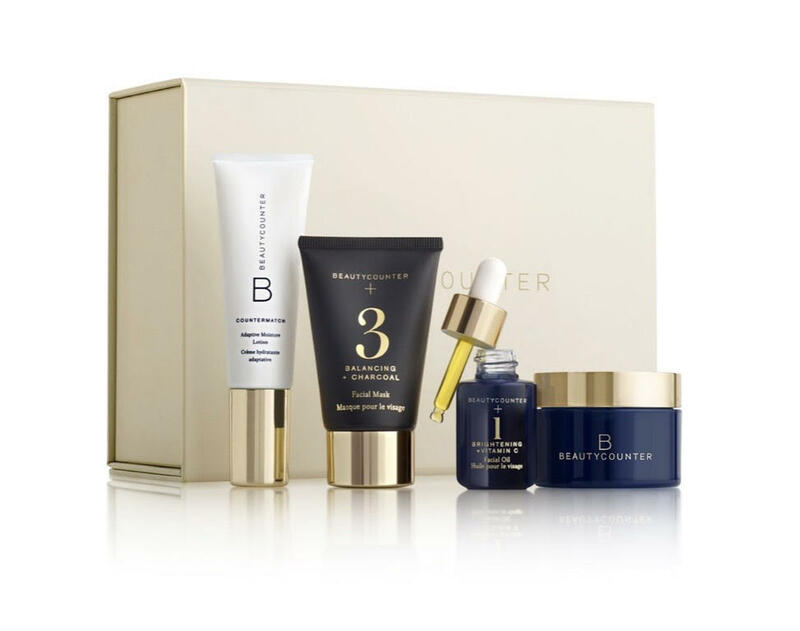 Try the best of all Beautycounter products in one set! This one includes their Cleansing Balm, Countermatch Adaptive Moisture Lotion, their No. 1 Brightening Facial Oil, and No. 3 Balancing Facial Mask. This Beautycounter palette offers a cleaner eyeshadow solution. Try multiple colors all in one palette. But hurry, this palette is limited edition! Expect to see more of the facial roller in 2019. The facial roller has been used for centuries to help promote healthy skin. Rolling it over your face increases circulation, stimulates collagen production, and can help reduce the appearance of fine lines and wrinkles. 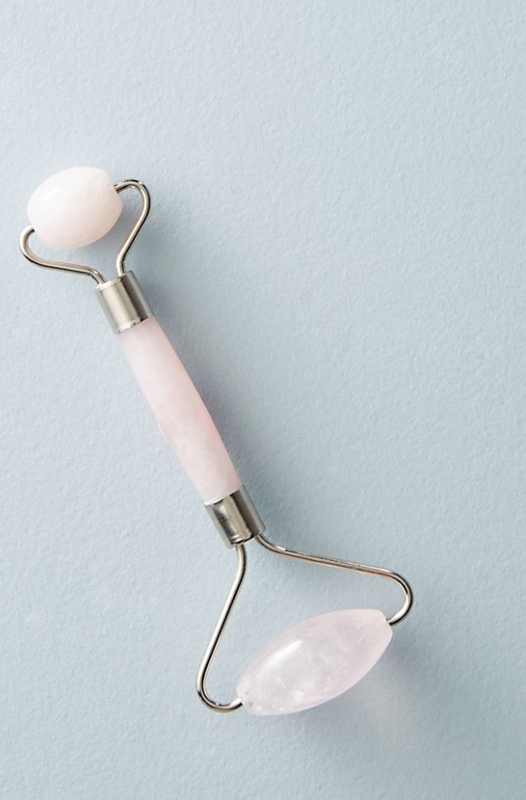 The Gua Sha is a similar tool that I expect will also become more popular in 2019. EVER’s Lavish Body Butter smells amazing! I use it to moisturize my skin all winter long. It also helped diminish my stretch marks post-pregnancy and others report it smoothes crepey skin as well. I love using Cocokind’s MyMatcha stick under my eyes in the AM and PM. You can also use it on your lips or anywhere you have dry patches or dry skin. You can pick this up (as well as its cousins, the Turmeric stick and Macabeet stick) in the beauty section at your local Whole Foods. I love using this Cleansing Balm as a face wash in the winter. My regular face wash contains salicylic acid, which dries out my skin in the winter. At night I’ll rub the balm over my face with no water and use it to remove my eye makeup. Then I wash with a warm washcloth and pat dry. You can also leave it on overnight as a moisturizing mask. Learn how nutrition and your gut affect your skin in this book by award-winning dermatologist, Dr. Whitney Bowe. I haven’t read it yet, but it’s on my list! This Overnight Facial Oil by EVER Skincare contains retinol, which fights the signs of aging. Use one dropper full in the evening after washing your face three times per week. Note: be sure to wear sunscreen during the day when using retinol products. And don’t use retinol products if pregnant or nursing. That’s a wrap! Do you own anything on this list? What are your favorite clean beauty products? Let me know below! Disclaimer: I make a commission from the EVER Skincare links in this blog post.